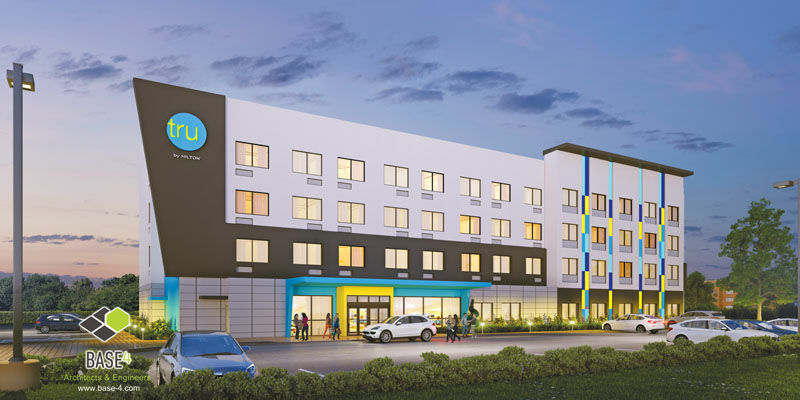 Tru by Hilton is a 90-room, four-story hotel with a contemporary design. It is aimed at travelling and young professionals. Construction began in 2016 and it expected to be completed by late spring or early summer of 2017. For more information see the Wyoming Tribune Eagle, New hotel promises to be "revolutionary"